Fast rising act and MBN sign-on, Adelabu Alexander Adewunmi aka Magixx, has described his style of music as ‘Afro with a touch of pop’. 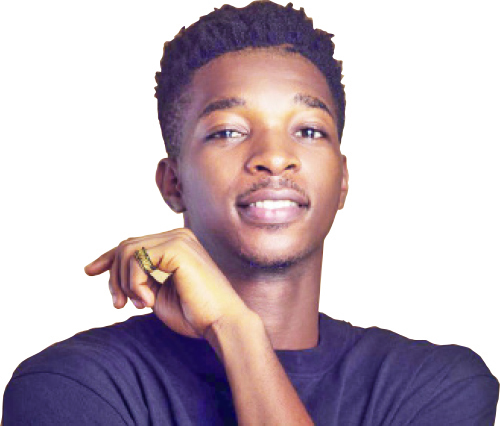 In this interview, the Ekiti State-born singer, who just debuted with a single, Mirror, reveals his plans for the music industry and why Tiwa Savage remains his celebrity crush among other issues. What are your challenges as an up-and-coming artiste? The major challenge every up-and-coming artiste would face is getting a platform to show what he or she can offer. That was until I was signed on to MBN. It is quite interesting that I am currently in the studio working on commercially viable songs worthy of promotion and acceptance. Which artistes would you say have influenced your career? There are a number of them but one stands out and that is Wizkid; yeah, it is Wizkid for sure. I get inspiration from good or sad encounters from the past. I sing about hope and hopelessness and the need to keep on striving no matter the mountain in our lives. Where will we see you in the next five years? I plan and hope to have attained stardom. Also, I would have also worked with some of the most talented artistes there are in the world. How do you cope with friends and family members who never believed in you? I see it as normal because not all will be convinced. However, I try to make good music, which is my answer and I believe that by and large, they will come around to believe in me. My type of woman is the reserved one. I am outgoing so my woman has to be my opposite, covering up for me privately, since my whole life will be in the open. I handle them by returning their love. What is your career selling point? My selling points are my good music, flexibility, adaptability to modern happenings in entertainment and balancing that with the demands on the streets. Who is your celebrity crush among the female artistes and why? My celebrity crush is Tiwa Savage. And the reason is not far-fetched; she is so beautiful and also a goal getter. Who are the top artistes you desire to feature soon in your music and why? The artiste I desire to feature in my song or to be featured in his song is none other than Wizkid. And that is because he excites me musically.